Uk’s biggest Free to attend family friendly festival that brings you blistering sets from some of Europe’s biggest and best rock / indie bands. Uk’s biggest Free to attend family friendly festival that brings you blistering sets from some of Europe’s biggest and best rock / indie bands without there costly ticket price and its returning to West Park. It’s Free to attend all you pay is the booking fee £3.90. The organizers promise two days of crowd surfing, chorus chanting, family friendly fun. This unique family type festival will see over 30 bands on two stages, beer tents, food markets, thrill rides and kids activities. 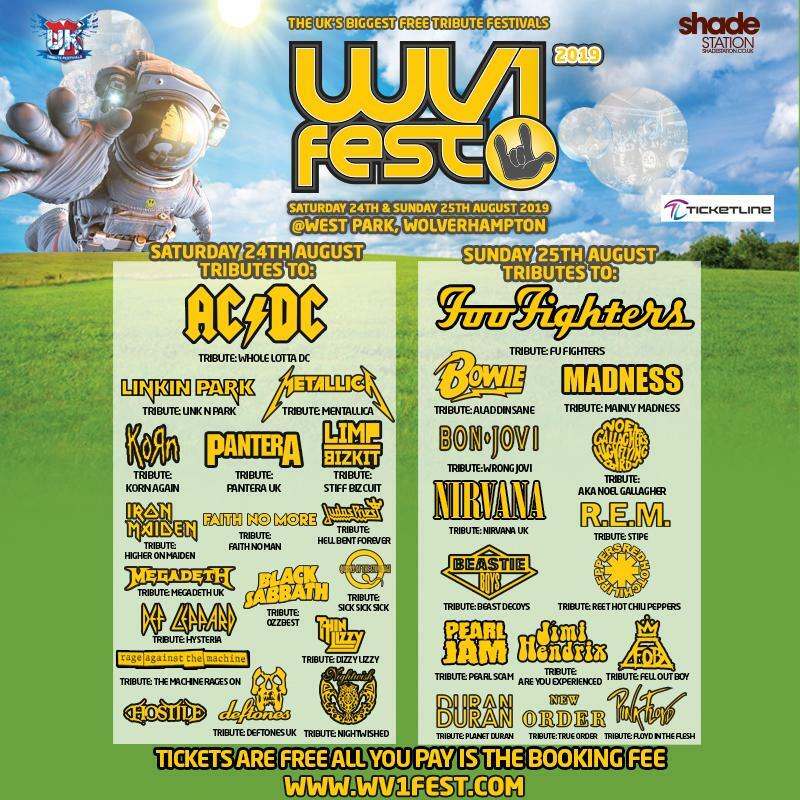 Acts already planned will see tributes to ACDC, Foo Fighters, Bowie, Madness and many more.